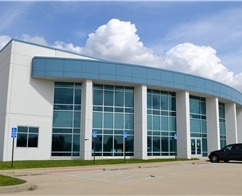 If you are interested in locating or expanding a business in Indiana, you may view an up-to-date database of available properties in Muncie-Delaware County in our Sites & Buildings Database. Muncie-Delaware County has an available shell building, and four industrial parks that offer hundreds of acres of fully serviceable sites. The Vision program, established in 1983 and led by the Muncie-Delaware County Economic Development Alliance is founded on public/private partnerships that represent the most comprehensive economic development program the history of Delaware County. Established in 1894, the Muncie - Delaware County Chamber of Commerce provides access to marketing, events, government, education and training, and discounted programs. Muncie-Delaware County, Indiana is a dynamic community located 58 miles northeast of Indianapolis in the east central portion of the state. Muncie, the county seat, comprises nearly sixty percent of Delaware County’s population. Our community is grounded with a diverse economic base that includes advanced manufacturing, information technology, logistics, and life science firms. Top notch educational institutions and a regional medical hospital grace the community. Ball State University (22,000 students) and Ivy Tech Community College (3,700 students) with nationally acclaimed educational departments and programs can provide your business with a wide assortment of quality applicants. Brandy Washler joined the Muncie-Delaware County Chamber of Commerce and Delaware Advancement Corporation as Controller in 2018. Washler graduated from Indiana University with a Bachelor’s degree in Business and Economics and is currently pursuing her MBA through Purdue University. Previous work experience includes 15 years in banking, finance, and nonprofit management. In her free time, Brandy enjoys boating, travel, watching sport,s and family time with her husband and two sons. Born in Connersville, she is a lifelong resident of Indiana. Accutech Systems, a leading software company for the trust and investment industry, will invest more than $5.5 million to purchase and redevelop a 40,000 SF former Sears Department Store building in downtown Muncie. Accutech currently employs 53 people locally and 25 additional remote workers. By 2023, the company intends to grow to at least 100 local employees. The town of Yorktown, Indiana and the Muncie-Delaware County Economic Development Alliance have announced the certification of a 72.55-acre property by the Verisite Certification Program as a prime opportunity for industrial development. 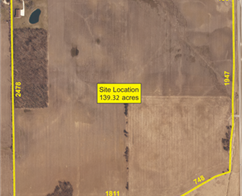 The McKibben site is located East of S. Marsh Ave. (S. Co. Rd. 600 W.) and South of CSX Transportation Incorporated railroad approximately 0.5 miles south of S.R. 32 (Smith St.). Waelz Sustainable Products LLP (WSP), a joint venture between Indianapolis-based Heritage Environmental and Monterrey, Mexico-based Zinc Nacional, announced plans today to establish operations in Muncie, creating up to 90 jobs over the next several years. The new facility, which will be located on the former BorgWarner campus, is one part of a significant investment being made by Heritage Environmental to transform the property and facilitate the creation of up to an additional 210 jobs at the repurposed site. The Muncie-Delaware County Chamber of Commerce honored Kelly Stanley with their 2018 Legacy Award. The Gala Event held at the Horizon Convention Center, had nearly 300 guests. Zanola Company has created a Housing Needs Analysis for HWC Engineering focusing on the City of Muncie, Indiana. The purpose of this study was to research and forecast the need for new housing creation, both single family and multifamily, and type of demand over the next five years for Muncie, Indiana. A special focus has been given to identifying housing needs for underserved, move-out segments, and identified move-in targets. The Muncie-Delaware County Chamber of Commerce held its 123rd Annual Meeting on October 19, 2017 with more than 300 business and community leaders in attendance. The event, held at the Horizon Convention Center, is the Chamber’s annual meeting and awards event. The Muncie-Delaware County Chamber of Commerce honored Jack Buckles with their 2017 Legacy Award. The Gala Event held at the Horizon Convention Center, had over 250 guests. The City of Muncie, Cardinal Greenways, INDOT and KPEP—the Kitselman Pure Energy Park—continue in cooperation to revitalize the former Indiana Steel and Wire and King Indiana Forge brownfield factory areas on the east side of Muncie. Joined by local elected officials and business leaders, AT&T and the Muncie-Delaware County Economic Development Alliance announced that four Delaware County business parks– three in Muncie and one in Yorktown – have been certified as being AT&T Fiber Ready. 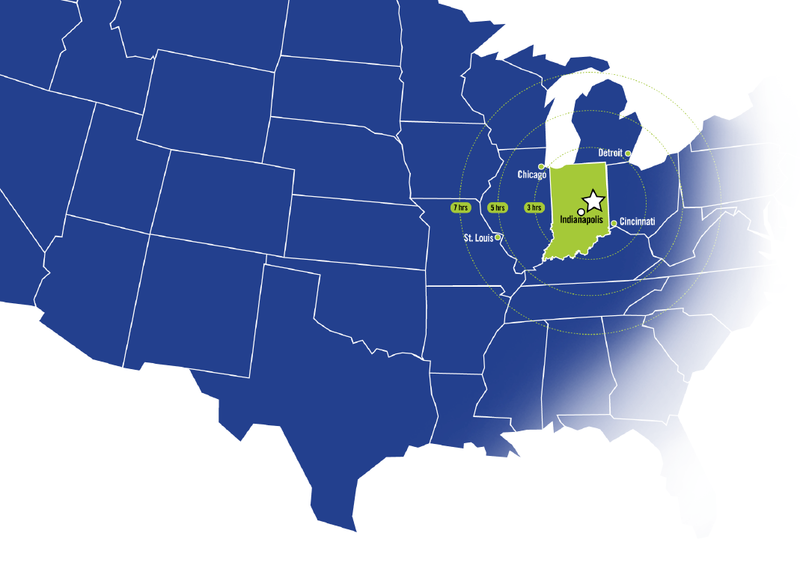 This marks the first time in Indiana that four Fiber Ready locations have been announced at once. The Muncie Redevelopment Commission has approved an economic development agreement with Roebuck, LLC for the former Sears Building and parking lot at Walnut and Main streets in downtown Muncie, Indiana. The $7.5 million mixed-use project will include 42 one to three-bedroom residential, market-rate housing units and more than 20,000 square feet of commercial space in the heart of downtown. MUNCIE, IN – The Muncie-Delaware County Chamber of Commerce held its 122nd Annual Meeting: A dinner, silent auction and awards program on October 27, 2016 with over 300 business and community leaders in attendance. The event, held at Horizon Convention Center, is the Chamber’s annual meeting and awards event. At a retirement reception on July 14, 2016 at the Horizon Convention Center, Terry Murphy, CEcD, Vice President of Economic Development, was presented with the Sagamore of the Wabash. The award is the highest honor that the Governor of Indiana bestows. The Steering Committee for the VISION 2021 planning effort will hold a series of roundtable focus groups to solicit public input on the community's economic development priorities for the coming years. Feedback from these meetings will help determine the framework and goals for Vision 2021, the community’s next comprehensive five-year economic development plan. At an unveiling ceremony, Muncie Mayor Dennis Tyler announced a transformative revitalization plan for the former King Indiana Forge and Indiana Steel & Wire industrial sites, located adjacent to the White River at the city’s eastern gateway. The plan, a result of decades of visionary, broad-based collaboration, was detailed by Tyler and representatives of numerous partners. Significant components of the plan include the Kitselman Trailhead, a new eastern gateway to the City of Muncie, Muncie Arts & Culture Trail, and the Kitselman Pure Energy Park (KPEP). Delaware County has become the third Certified Work Ready Community in Eastern Indiana through ACT, completing 100 percent of its goals. The County joins Randolph and Rush Counties in this accomplishment. ACT launched its national Certified Work Ready Communities (CWRC) initiative in 2011. In June 2013, ACT began accepting applications directly from counties interested in participating, where there was not a statewide ACT CWRC program in place. Delaware County and other Eastern Indiana counties took advantage of this opportunity. Courtyard by Marriott Muncie at Horizon Convention Center is scheduled to open its doors in Muncie, Indiana tomorrow. Featuring an innovative lobby space as well as Courtyard’s latest contemporary room design, the new hotel provides flexibility and choices that allow guests to optimize and elevate their travel experience. The City of Muncie and the Muncie-Delaware County Economic Development Alliance announced today that Pristine Senior Management, a company that specializes in providing management services to seniors housing and post-acute care facilities, will locate its home offices in Muncie, IN, creating an anticipated 35 to 50 new jobs within the next two years. In 2015, the Indiana Regional Cites Initiative brought together 48 counties across the state, and hundreds of local city leaders with one goal in mind: “Making Indiana a great place to both live and work.” Seven regions presented their visions for the future and competed for a chance at $84 million in funding. At a meeting held in Indianapolis yesterday, the Indiana Economic Development Corporation (IEDC) announced it has awarded three Phase I regional development plans, North Central, Northeast, and Southeast $42 million each in funding to help address projects identified in those regions’ plans. Members of the Strategic Review Committee and the IEDC both noted the difficulty of the decision, as they felt that all seven region’s plans were outstanding. American college towns are becoming appealing places to live – for all ages, from retirees to young people. They are looking for the cultural events, quality of life, sports and recreational activities, community engagement opportunities, job opportunities and entrepreneurial spirit found in college towns. The realtor.com data team ranked more than 300 college towns by median home price to determine the top 10 least expensive and top ten most expensive college towns. Muncie, Indiana, home of Ball State University and Ivy Tech Community College leads the nation in affordability with a median home price of $77,900. The college town criteria specified areas where student residents were greater than 5,000 and made up more than 20% of the community’s total population. Eight of the ten least expensive college towns are located in the Midwest. Population stagnation and the loss of talent are critical issues that have faced East Central Indiana and the state of Indiana for decades. The Regional Cities Initiative is an opportunity for regions within the State of Indiana to collaborate, identify projects, and put together regional solutions to quality of life issues that directly relate to the attraction and retention of talent. These community-based plans are to provide a bold vision that will lead to transformational change within the Region and seek to grow the Region into a nationally-recognized destination of choice for talent and investment. To help incentivize local communities to undertake Regional Development Plans, the state of Indiana has set aside $84 million from the tax amnesty program to partner with communities in the funding and implementation of projects identified in the plans. “ADVANCE – A Vision for East Central Indiana,” is the name of the area’s Regional Development Plan (RDP) that will compete with six other Regions across the state for a slice of this funding. An important site for growth in the Muncie-Delaware County Area has earned a shovel ready Industrial Site Certification. The Industria Centre Site #1, along the Muncie bypass, has completed the certification program for American Electric Power’s (AEP) Quality Site Program. The Muncie-Delaware County Economic Development Alliance joined Delaware County government officials and Garmong Construction to announce that the construction of a new, 200,000 SF shell building has been completed. The event was celebrated with a ribbon cutting by the Muncie-Delaware County Chamber of Commerce. Located on a 34-acre site in the Industria Centre Industrial Park, the pre-cast concrete building features 32 foot ceilings and is expandable to 500,000 square feet.